Javier Adelmar Zanetti (Spanish pronunciation: [xaˈβjeɾ saˈneti]; born 10 August 1973) is an Argentine former footballer. He played most of his career for Serie A club Internazionale, from 1995 to 2014, and served as their captain from 1999, earning him the nickname "Il Capitano" (The Captain). Known for his versatility, he was adept on both the left and right wing, having played on both flanks as a full-back, as well as a winger. He could also play as a defensive midfielder. On retiring, the club retired his number 4 jersey and named him as Vice President. Known as "Pupi" in Argentina, Zanetti was born in Buenos Aires, picking up the nickname "El Tractor" (The Tractor) soon after his move to Italy where his strength, resilience, stamina, and his ability to run past opposing defenders when joining the attack from his right back position earned him reverence. Zanetti won several honours with Inter, including five Serie A and four Coppa Italia titles. The 2010 UEFA Champions League Final on 22 May 2010 was Zanetti's 700th game with Inter, and the team's victory on the night made him the only captain to win a treble with an Italian club. Internationally, he holds the record of the most capped player in the history of the Argentine national team. He won a silver medal at the 1996 Olympic tournament, and played in five Copa América tournaments, two FIFA Confederations Cups, and two World Cups (1998 and 2002), winning runners-up medals at the 2004 and 2007 Copa América tournaments, and in the 1995 and 2005 Confederations Cups. He holds the record for the highest all-time appearances by a non-Italian born player for an Italian club and his 858 official matches for the club put him first in Inter's all-time appearances list. He holds the most competitive appearances for an outfield-player in football history, with 1123 matches played. Only Rogério Ceni (1257) and Peter Shilton (1362) have played more matches. He is also noted for his charity work, running a foundation to benefit disadvantaged children in Argentina. He has been named an ambassador for the SOS Children's Villages project in Argentina by FIFA, and in 2005, he received the Ambrogino d'Oro award from the City of Milan for his social initiatives. Zanetti is also a Global Ambassador for the Special Olympics. A 20-year-old Zanetti debuted for Banfield on 12 September 1993 in a home match against River Plate. He scored his first goal 17 days later against Newell's Old Boys in a match that ended 1–1. His outstanding performances for Banfield gained popularity from El Taladro fans and also earned him a call-up from the national team. First division giants River Plate and Boca Juniors displayed interest but Zanetti decided to stay on for another year at the club. In 1995, along with fellow Argentine Sebastián Rambert, he transferred to Italy's Internazionale, becoming team owner Massimo Moratti's first-ever purchase. Zanetti went twelve years without being sent off in a match. The first time he was sent off in his career was on 17 February 1999 in a Coppa Italia match against Parma, but he broke his streak when he was sent off in a Serie A match against Udinese on 3 December 2011. These were the only two times he was sent off during his entire career at Inter. At Inter, Zanetti played under nineteen (19) different coaches (list), making him the only player to have played under this many coaches. He has pledged his future to the Nerazzurri, hoping to have a future behind the desk at the club in his retirement from playing. "Inter means a lot to me," Zanetti said. On 29 August 1999, he was rewarded with the club captaincy, taking over from legendary defender Giuseppe Bergomi. It was later revealed that he had considered signing for Real Madrid before being made captain. After the arrival of Maicon at the beginning of the 2006–07 season, Zanetti was moved from the right back position into midfield. He ended a four-year goal drought when he scored on 5 November 2006 at a home match against Ascoli, having previously scored on 6 November 2002 at an away match against Empoli. 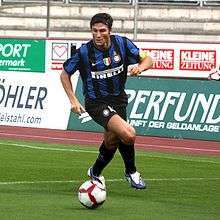 On 27 September 2006, against Bayern Munich, Zanetti played his 500th professional match for Inter and on 22 November 2006, he appeared in his 100th UEFA match against Sporting Clube de Portugal. He celebrated his 600th match for Inter on 24 September 2008 with a 1–0 win over newly promoted Lecce. Minutes before the match, he was presented with a commemorative plate by former vice-captain Iván Córdoba to mark the special occasion. Though Zanetti is more often classified as a defender, he played mostly in midfield during the first half of the 2008–09 season. For the last several weeks of October 2008, with Portuguese coach José Mourinho facing a midfield crisis due to injuries to key midfielders Esteban Cambiasso and Sulley Muntari, he was moved again to the midfield for the matches against Genoa and Fiorentina. During that period, Mourinho played him in the midfield due to the presence of Maicon, Lúcio, Walter Samuel, and Cristian Chivu in the back four. The 2009–10 season began well for Zanetti and Inter, especially after a 4–0 thrashing of crosstown rivals Milan in the Derby della Madonnina. In the match against Genoa on 17 October, he started off the counter-attack that led to Inter's second goal after dispossessing a Genoa player. Inter became the first team of the season to win by a five-goal margin. On 24 October, he reached Giacinto Facchetti's record of 476 Serie A appearances when he turned out for the match against Catania, which ended in a 2–1 win for the Nerazzurri. He also currently holds a club record of 149 consecutive appearances. On 20 October 2010, at 37 years and 71 days, Zanetti became the oldest player to score in the Champions League when he netted in the opening minute of Inter's 4–3 group stage win over Tottenham Hotspur at the Giuseppe Meazza. This was only his second ever Champions League goal; his first came in December 1998 in a match in a 2–0 win against Sturm Graz. He scored one of Inter's goals in their 3–0 win against Seongnam Ilhwa Chunma at the 2010 FIFA Club World Cup, which they eventually won, although Inter missed out on the UEFA Super Cup that season. On 19 January 2011, Zanetti overtook Inter legend Giuseppe Bergomi in Serie A appearances, his 520th match in Serie A, all for Inter. On 11 May 2011, Zanetti made his 1000th appearance as a professional footballer playing for Inter against Roma in the second leg of the Coppa Italia semi-final. On 20 September 2011, Javier Zanetti made the all-time appearance record in a Serie A clash against Novara, surpassing Giuseppe Bergomi. On 10 March 2013, Zanetti played in his 600th Serie A match for Inter, a 1–0 loss to Bologna at the Giuseppe Meazza. On 21 April 2014, in the 1–0 home win against Parma, Zanetti played his 1100th official match and became the player with the fourth-most appearances of all time. On 29 April 2014, Inter's president Erick Thohir announced that Zanetti would retire at the end of the 2013–14 season, and become a club director. Zanetti's last competitive match at the San Siro was a 4–1 victory over Lazio on 10 May 2014. He came on as a substitute for Jonathan in the 52nd minute and wore a special armband featuring the names of every player he had played with during his career at Inter. He retired after the last game of the season, which he started as centre-back in a 2–1 away defeat to Chievo Verona on 18 May. In June 2014, Inter's president Erick Thohir appointed him Vice President for the next two years. Zanetti debuted for Argentina on 16 November 1994 against Chile under coach Daniel Passarella. He represented his country at the 1998 and 2002 FIFA World Cups, and was also part of the team that won the silver medal at the 1996 Summer Olympics in Atlanta, USA. Zanetti represented Marcelo Bielsa's Argentine national team in the 2002 World Cup, playing in all matches, as Argentina finished 3rd in their group, despite winning the opening match. After having been part of the team during the qualification rounds, Zanetti was not called up for the 2006 FIFA World Cup by coach José Pekerman in a controversial decision. Instead, Lionel Scaloni was given a surprise selection, a move that bewildered many fans and media. With new coach Alfio Basile, Zanetti was called for a friendly match against France on 7 February 2007. He played brilliantly and helped Javier Saviola to score the only goal of the game that gave Argentina the first victory under Basile's second management. That same year, Zanetti was vice-captain of the Argentine squad for the Copa América 2007, having previously appeared in the 1995, 1999 and the 2004 editions of the tournament, reaching his second consecutive Copa América final. In April 2007, Zanetti was presented with the National Giuseppe Prisco Award. After the retirement of Roberto Ayala, Zanetti was given the captain's armband. In a World Cup qualification match against Bolivia on 17 November 2007, he became the most capped player ever for Argentina. Zanetti remained a regular under new coach Diego Maradona, although defensive midfielder Javier Mascherano took over as captain at Maradona's request. Despite winning the Champions League at club level, Zanetti and his Inter team-mate Esteban Cambiasso were not included in the Argentina squad for the 2010 FIFA World Cup. This move was heavily criticised by football pundits from both South America and Europe. Instead 30-year-old Ariel Garcé, who had been called up just twice in the previous five years, received a shocking selection, but ultimately did not play a single minute in any World Cup match. Zanetti's place in the starting line up was taken by Jonás Gutiérrez, who had spent the previous season playing on the wing for Newcastle United in England's second-tier Football League Championship. On 20 August 2010 Argentina national team coach Sergio Batista recalled Javier Zanetti to the squad for a friendly against Spain played on 7 September 2010 at the River Plate Monumental Stadium, where he and fellow legend Gabriel Batistuta were honored by the Argentine Football Association for their outstanding careers with more than 48,000 people giving them a standing ovation. He was called again for the friendly against Japan in Saitama of October 2010 but withdrew at the last minute due to injury. He was a member of Argentina's squad for the 2011 Copa América on home soil, starting in all four of the team's matches as they were eliminated by Uruguay in the quarter-finals. Zanetti earned the nickname El Tractor for his stamina and tireless runs up and down the wings to aid both attack and defence. He was known amongst his teammates for consistency and fitness regime, which he has credited with prolonging his career. During his last few seasons he started in over thirty games despite being in his late thirties. As captain, he was well-respected by both fans and the opposition for his leadership, calm demeanor and conduct as Inter's captain; in his entire 22-year career, he only received two red cards. Zanetti was a quick, strong, and physically fit player in his prime, with outstanding physical attributes, excellent ball control, dribbling, technical ability, and acceleration. Defensively, he excelled at reading the game, and he was a good ball-winner and man-marker, although he was also effective at distributing the ball to team-mates, due to his passing range and vision. A two-way and two-footed player, he excelled at playing on either flank, where he was capable of advancing into more offensive positions to cross balls for team-mates. He also possessed an accurate shot from distance. During his later years at Inter, he was known to have developed a formidable partnership with fellow fullback Maicon, leading the club to win several titles. "The most difficult opponent to play against was Javier Zanetti, I faced Zanetti for the first time in the Champions League quarter-finals in 1999, he was the right-back and I was on the left. He impressed with his qualities, his speed, power, intelligence and expertise. I played against him twice more and he was my most difficult opponent, a complete player." Zanetti began his career as a right offensive winger, but was later moved back into mid-field, where he became a tactically intelligent and versatile player, who was capable of playing anywhere in midfield or in defence. He was primarily used as a wide midfielder or as a full-back on either flank throughout his career, although he has also been deployed as a central defender, sweeper, or as a central or defensive midfielder. He was even deployed in more offensive roles on occasion. Zanetti has been praised for his determination, consistency, and work-rate, as well as his discipline and longevity, which he has attributed to his diligence in training sessions. On 23 December 1999, Zanetti married his long-time girlfriend Paula De la Fuente, the daughter of a university lecturer. They met when he was nineteen and she was fourteen and dated for seven years prior to their marriage. They live near Lake Como, and they also own a restaurant called "El Gaucho" in Milan in the Navigli district, a popular tourist area. Paula currently works as a photographer. The couple have a daughter Sol (b. 11 June 2005) and two sons, Ignacio (b. 2008) and Tomas (b. 9 May 2012). In 2007, Zanetti collaborated with Italian singer Mina in a Spanish cover of the song "Parole parole", found in the album Todavía. Zanetti features in EA Sports' FIFA video game series; he was included in the FIFA 16 Ultimate Team Legends. Zanetti features in EA Sports' FIFA football video game series; he was included in the Ultimate Team Legends in FIFA 16. As of match played 16 July 2011. Argentina score listed first, score column indicates score after each Zanetti goal. 1 2 "tactical Formations". Football-Lineups.com. Retrieved 25 January 2007. 1 2 McVitie, Peter (30 June 2014). "Inter make Zanetti vice-president & retire No.4 jersey". Goal.com. Retrieved 27 July 2014. 1 2 Bandini, Paolo (7 May 2014). "Not a hair out of place as Javier Zanetti hangs up his boots at Internazionale". The Guardian. Retrieved 10 May 2014. ↑ "No place like home". UEFA. 17 November 2006. Archived from the original on 14 December 2007. Retrieved 2007-08-30. ↑ "1997/98: Zamorano leads Inter success". UEFA. 1 June 1998. Retrieved 19 May 2014. ↑ "Zanetti had Real Madrid option". Football Italia. 12 November 2013. Retrieved 1 September 2014. ↑ "Match Formations". Football-Lineups.com. Retrieved 17 January 2007. ↑ "Zanetti completes 500 matches with Inter". ↑ "tactical Formations". Football-Lineups.com. Retrieved 17 January 2007. ↑ "South American Dispatch: Javier Zanetti Tempted Home From Italy By Banfield". goal.com. 16 December 2009. Retrieved 2009-12-18. ↑ "Inter Milan 4 Tottenham 3". BBC Sport. 20 October 2010. Retrieved 20 October 2010. ↑ "FIFA Club World Cup UAE 2010". FIFA. Retrieved 11 May 2014. ↑ "Zanetti: 'My 600th Inter game'". Football Italia. 10 March 2013. ↑ "Internazionale vs. Parma". Soccerway. 21 April 2014. Retrieved 29 April 2014. ↑ "Zanetti to retire this summer and become Inter director – Thohir". Goal.com. 29 April 2014. Retrieved 29 April 2014. ↑ "ZANETTI: "AN EMOTIONAL EVENING BUT WE'RE FOCUSED ON LAZIO"". Inter.it. 10 May 2014. Retrieved 10 May 2014. ↑ "Inter 4 – 1 Lazio". Inter.it. 10 May 2014. Retrieved 10 May 2014. ↑ Augustus, Luke (10 May 2014). "Javier Zanetti enjoys winning San Siro swansong as Inter Milan thrash Lazio". Daily Mail. Retrieved 10 May 2014. ↑ "Chievo v Inter". Sky Sports News. 18 May 2014. Retrieved 19 May 2014. ↑ "#MATCHFOREXPO, 4 IS FOREVER". 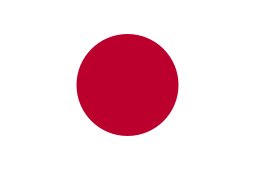 ↑ "Argentina 1–0 Japan". FIFA.com. 14 June 1998. Retrieved 9 June 2016. ↑ Henry Winter (30 June 1998). 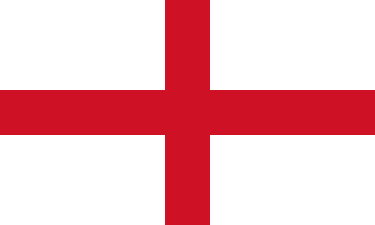 "World Cup 1998; Argentina 2 England 2, Argentina win 4-3 on pens: match report". Telegraph.co.uk. Retrieved 9 June 2016. ↑ Rob Draper (8 July 2014). "Dennis Bergkamp's genius fired Holland past Argentina in the 1998 World Cup... will we see anything like it in Sao Paulo?". Daily Mail. Retrieved 9 June 2016. ↑ "Centurion Zanetti celebrates in style". FIFA. 26 June 2005. Archived from the original on 1 October 2007. Retrieved 2007-06-26. ↑ "World Cup snub for Zanetti". Skysports.com. 15 May 2006. Retrieved 2007-07-11. ↑ ""Saviola sinks Les Bleus in Paris"". Yahoo sports. 7 February 2007. Retrieved 7 February 2007. ↑ ""Premio Prisco: i vincitori della V edizione"" (in Italian). Tutto Abruzzo. Archived from the original on 18 October 2013. Retrieved 9 June 2016. ↑ ""No stopping record-breaker Zanetti"". UEFA.com. 19 November 2007. Retrieved 9 June 2016. ↑ "Mascherano accepts captaincy offer". FIFA.com. Archived from the original on 23 September 2013. Retrieved 9 June 2016. ↑ "Ariel Garce matches". Football-Lineups.com. 9 June 2016. Retrieved 9 June 2016. ↑ Daniel Edwards (14 June 2010). "World Cup 2010: Jonas Gutierrez: I Feel Comfortable At Right Back For Argentina". Goal.com. Retrieved 9 June 2016. ↑ "Argentina: Batistuta and Zanetti, winning at home for their respective records". Football News @ Goaledor.Com. 28 August 2010. Archived from the original on 11 July 2011. Retrieved 20 August 2010. ↑ "Pupi no, ¿y Milito?" (in Spanish). Ole.com.ar. 28 September 2010. Retrieved 28 September 2010. ↑ Daniel Edwards (17 June 2011). 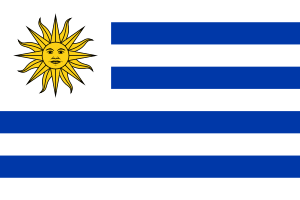 "Argentina 1-1 Uruguay (AET, 4-5 pens. ): Carlos Tevez penalty miss proves costly as hosts crash out of Copa America". Goal.com. Retrieved 9 June 2016. ↑ "Javier Zanetti calls time on iconic 20-year Inter career... but as these Panini stickers show, he hasn't aged a day!". Daily Mail. 30 April 2014. ↑ Garganese, Carlo (6 May 2014). "The legend with no enemies: Is Javier Zanetti the most respected footballer ever?". Goal.com. Retrieved 10 May 2014. 1 2 3 "Inter: Normal-man, elogio a capitan Zanetti". Retrieved 21 October 2014. 1 2 "Javier, un raggio laser che scardina le difese Javier, un raggio laser che scardina le difese". Retrieved 21 October 2014. ↑ Simone Bargellini (27 March 2012). "Giggs - Zanetti the toughest". Sky Sports. Retrieved 21 April 2016. ↑ "Javier Zanetti: "Il mio segreto? La costanza"". Retrieved 21 October 2014. ↑ "Cassano su Zanetti: "In campo fino a 60 anni! Lui..."". Retrieved 21 October 2014. ↑ "Paula Zanetti: "Javier ha ancora voglia di giocare. L'Inter è la nostra famiglia"". Retrieved 21 October 2014. ↑ "Pope Francis has divided loyalties in Italy-Argentina soccer match". Reuters. 13 August 2013. ↑ "After 18 years and 847 games, is it the end for Inter's Javier Zanetti?". The Guardian. 29 April 2013. ↑ "L'INTER FELICE PREGA INSIEME A PAPA FRANCESCO". www.inter.it (in Italian). 13 March 2013. Retrieved 13 March 2013. ↑ "FIFA 16 Ultimate Team - New Legends". EA Sports. Retrieved 7 August 2015. ↑ "J.ZANETTI NEW FIFA AMBASSADOR FOR SOS". Inter.it. 4 May 2006. Retrieved 7 June 2007. ↑ "Zapatista rebels woo Inter Milan". BBC News. 11 May 2005. Retrieved 6 May 2010. ↑ "Cambiasso, Zanetti: "Only Inter counts"". Inter.it. 14 September 2007. Retrieved 2007-10-10. ↑ "FIFA 16 Player Ratings - New Legends". EA Sports. 5 September 2015. Retrieved 8 September 2015. 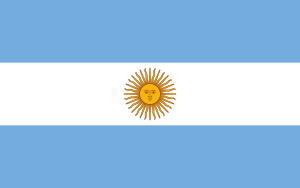 ↑ "Argentina - J. Zanetti - Profile with news, career statistics and history". Soccerway. 9 June 2016. Retrieved 9 June 2016. ↑ "Football : Javier Zanetti". Football Database. 9 June 2016. Retrieved 9 June 2016. 1 2 Roberto Mamrud. "Javier Adelmar Zanetti – International Appearances". RSSF.com. Retrieved 9 June 2016. ↑ "Legaseriea.it – Javier Zanetti's Serie A statistics". Lega Serie A.it. Archived from the original on 8 March 2014. Retrieved 9 June 2016. 1 2 "J. Zanetti". Soccerway. Retrieved 30 December 2015. ↑ "Pelé names his top 100 players". Skysports.com. 4 March 2004. Retrieved 2007-07-11. ↑ Inter.it staff, inter(a t)inter.it (17 November 2006). "F.C. Internazionale Milano". Inter.it. Retrieved 9 February 2015. ↑ "A Florenzi il "Pallone d'Argento" Coppa Giaimè Fiumano" (in Italian). ussi.it. 8 May 2016. Retrieved 18 May 2016. ↑ "Javier Zanetti" (in Italian). UEFA. Retrieved 25 April 2016. ↑ "Premio Nazionale Carriera Esemplare Gaetano Scirea: Alba d'Oro". Retrieved 21 January 2015. ↑ "Golden Foot – Javier Zanetti". Goldenfoot.com. Retrieved 1 March 2015. ↑ "Zanetti nel nome di Facchetti Il bello del calcio è il Capitano". Retrieved 21 January 2015. ↑ "Oscar del calcio, Pirlo giocatore dell'anno" (in Italian). Il Corriere della Sera. 28 January 2013. Retrieved 25 April 2016. ↑ "Javier Zanetti Story" (in Italian). Premio Gentleman. Retrieved 25 April 2016. 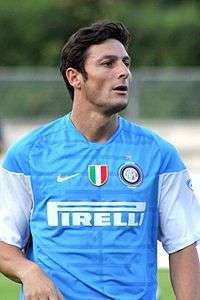 Wikimedia Commons has media related to Javier Zanetti.